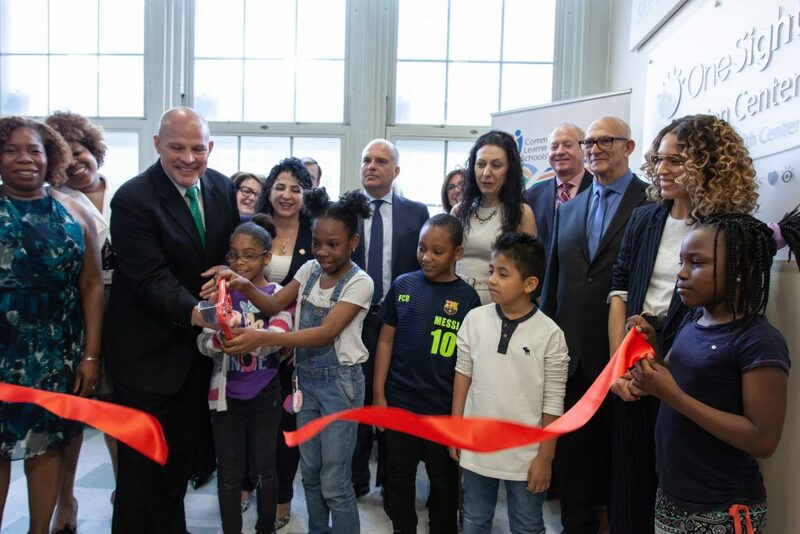 OneSight announced the opening of a LensCrafters-sponsored, school-based vision center today at Brooklyn’s PS 188 in Coney Island. The result of an initiative between the United Federation of Teachers, the city Department of Education and the Family Health Centers at NYU Langone, the school-based health center will be the first of its kind in New York equipped with a permanent vision center, providing fully integrated health care to students, family members and staff. With the implementation of this Brooklyn vision center, an additional 5,000 students will be provided comprehensive eye exams, glasses, adjustments and medical eye care each year. OneSight will ensure all students receive glasses if they need them and are not covered by insurance. Since 1988, OneSight has provided vision care and eyewear to over 10 million people in underserved communities around the globe. In New York alone, OneSight has served more than 23,000 residents since 1998. 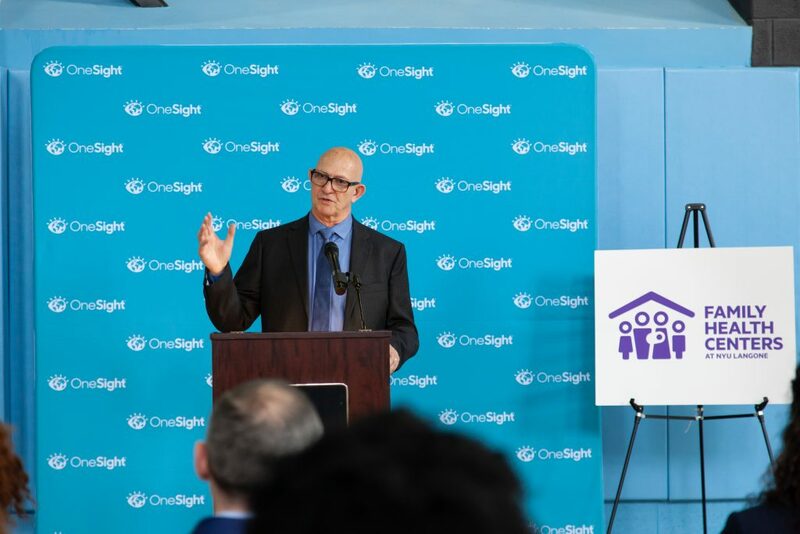 By the end of the year, 15 OneSight school-based vision centers will be open nationwide providing nearly 500,000 students and their families with year-round access to vision care and glasses. The new vision services will complement the medical, dental and mental health services provided by the Family Health Centers at NYU Langone. These centralized services will allow PS 188 students in need to receive care during the school day, without requiring parents to leave work or arrange alternate transportation. Cleo Wade shows a PS 188 student his new glasses. Celebrated artist, poet and author Cleo Wade made an appearance to support the opening of the vision center. A long time resident of New York City and a huge supporter of giving back to the community, Wade will lend her voice to bring awareness to the importance of providing vision care to those in need. Best selling author of “Heart Talk: Poetic Wisdom for a Better Life,” Wade’s work speaks to the importance of self-care and beloved community building. Wade currently writes for The New York Times, Teen Vogue and W Magazine. Her popular Ted Talk “Want To Change the World? Start By Being Brave Enough To Care,” was released in spring of 2018.